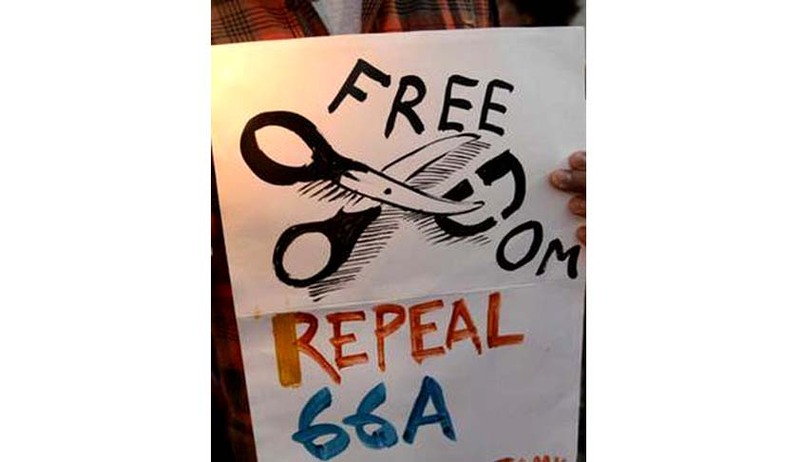 The Supreme Court has reserved its verdict on the petitions challenging the Constitutional validity of Section 66A of the Information Technology Act. It was argued that the definitions of terms such as grossly menacing, offensive and materials which cause annoyance to public are vague and it may lead to abuse of the provision. They also argued that even genuine comments criticizing a person, caricatures are treated as an offence and people are harassed. Justifying the provision, the Centre argued that abuse of the law is not a ground for quashing it. The Bench comprising of Justice J. Chelameswar and Justice R.F. Nariman asked the Centre, "How workable is it if you had millions of Facebook comments and thousands of complaints?" It replied that whenever the Government received a complaint, a request is made to the service provider to remove material content and the service provider removes the content or disables it. The Centre added that the government has made over 25,000 requests to service providers and there was 79 per cent compliance by the service providers. It was further argued by Additional Solicitor General Tushar Mehta that even though the Government does not intend to put fetters on the freedom of speech and expression, it cannot leave the vast cyber world unregulated. Referring to interpretations granted to the terms “grossly offensive” by various Courts in England, the Bench reportedly took note of the fact that "when judicially trained minds can arrive on different conclusions by analyzing the same facts then how can it be said that this term will not be abused." "These are the terms, incapable of being defined in a precise and objective manner," the ASG replied, adding that there are several other terms in the IPC which suffer from the same problem. "The term like 'outraging the modesty of a woman' (in IPC) has been construed differently in a given situation by various courts," he added. The ASG also highlighted various practices adopted in order to regulate the cyber world, such as appointment of a ‘grievance officer’ by Facebook in order to look into offensive content and complaints against them. Earlier in February, Additional Solicitor General Tushar Mehta had submitted to the bench of Justices J. Chelameswar and Rohinton F. Nariman that “We are reconsidering the whole issue with respect to freedom of speech and expression. Nothing is grossly offensive unless it invites violence.” He also said, “It is the case of the central government that Section 66A which uses expressions like causing ‘annoyance’, ‘inconvenience’, ‘obstruction’ etc essentially and mainly to deal with cyber crimes and has no relation with the freedom of speech and expression of any citizen.” Read the LiveLaw story here.